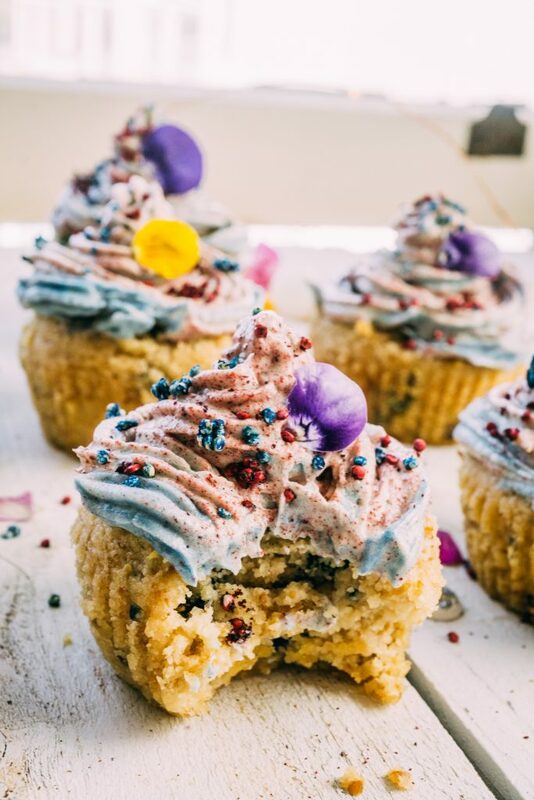 Butterfly Funfetti Quinoa Sprinkled Cupcakes are not only colorful, beautiful, and fluffy, but also absolutely delicious! 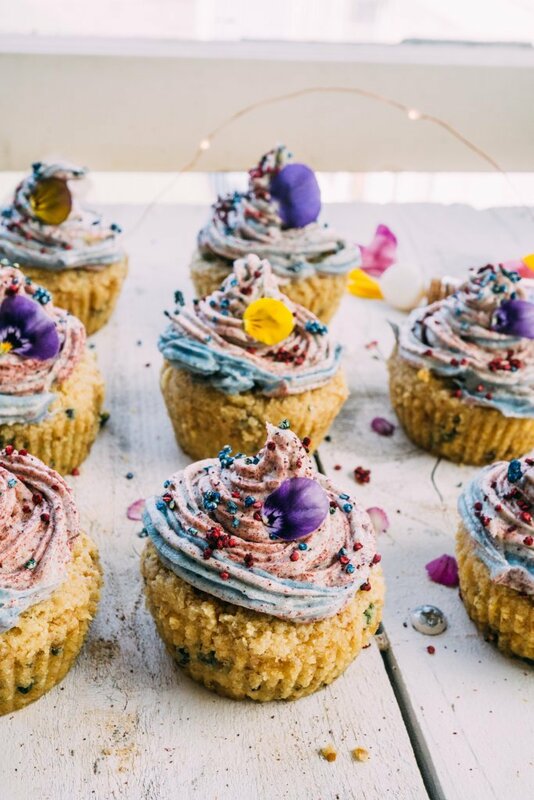 The inspiration for these cupcakes came from the magical butterfly migration that was taking place in Southern California. A couple of weeks ago we had hundreds of butterflies flying throughout Southern California. It was one of the most breathtaking views I have ever seen. It was such a sweet and dreamy message that change is here and it can be magical! There were flocks of butterflies everywhere we turned! These beautifully painted butterflies that gifted our presence inspired these cupcakes. 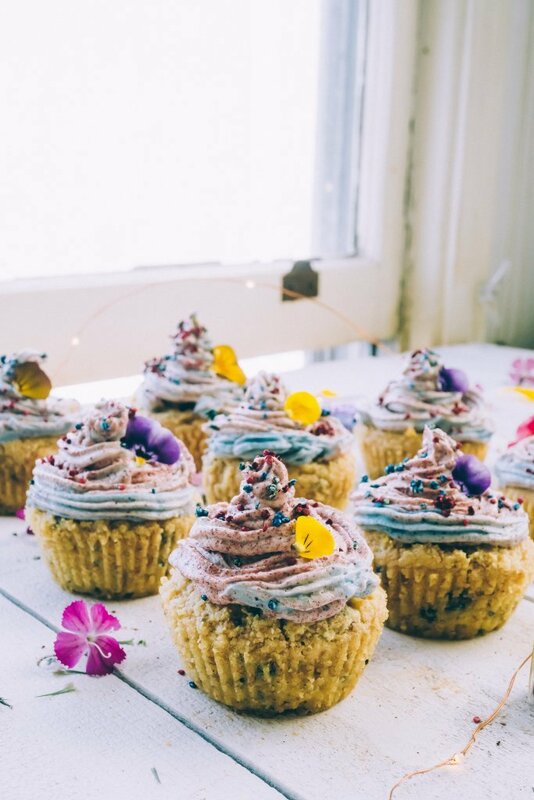 Growing up, funfetti cupcakes were my absolute favorite. However, as I grew, like the butterflies, I realized that funfetti cake wasn’t the best for me, even though I still craved it. 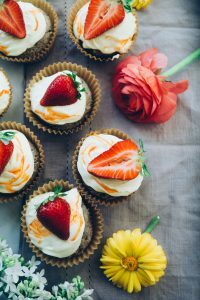 I decided to use some creativity and kitchen magic to come up with a healthier sugar-free tasty alternative. And I have to say, they turned out AMAZING! Instead of using the artificial coloring that’s found in most funfetti cake mixes I decided to make my own. It’s a passion of mine to use colors from all natural sources versus artificial coloring that way everyone can enjoy it and it’s not unhealthy. 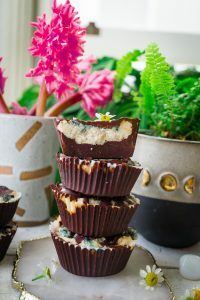 For this recipe, we made activated quinoa sprinkles by soaking them, dehydrating them and then re-soaking them in the natural food coloring powders, some of my favorite powders are hibiscus, cranberry, blue spirulina, green spirulina, and butterfly pea powder which produces a purple color. To keep them sugar-free, I prefer to sweeten mine with raw monk fruit extract or stevia but you can use maple syrup or any sweetener that you prefer. As a testimonial for these cupcakes, we had our neighbor try them. She gave us a handful of daffodils, so in return, I gave her a freshly baked & frosted cupcake. This morning she came back and stated it was the best thing she’s tasted in her life. Which made me extremely happy and was the sweetest thing ever! 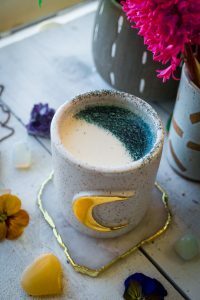 I’m excited to share this magical recipe with you lovelies and can’t wait to hear your feedback! Make your flax eggs and set aside usually takes around 5-10 minutes, will gel when done. In a medium to large bowl use a mixer to whisk the flax eggs and the coconut shortening. Add in the almond flour, once that is all combined add in all the other ingredients except for the sprinkles together. Brush or spray cupcake liners with oil or shortening. 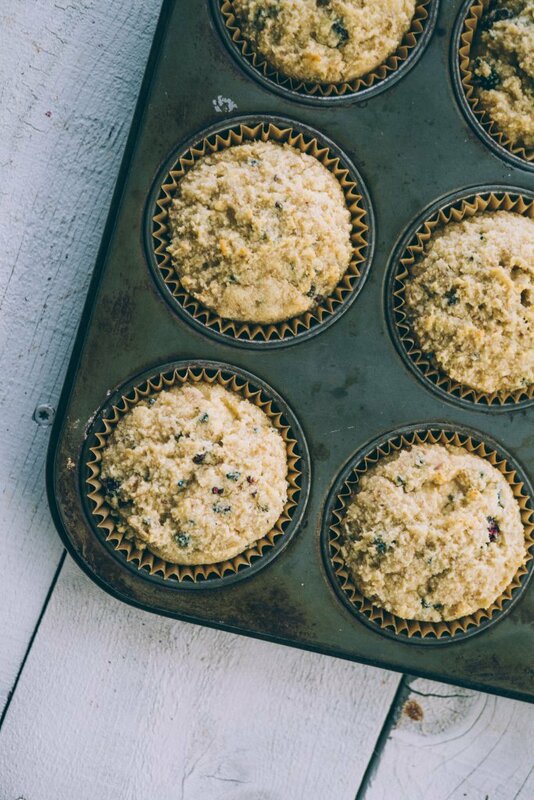 Use an ice cream scoop to add the batter into muffin pans. Keep checking the cupcakes if done by poking the middle with a toothpick or fork. Depending on your oven it could take longer than 15 minutes. Let cool in the fridge if you cupcakes are too fragile at room temperature. Using an electric hand mixer, beat the shortening and coconut oil until smooth and fluffy. 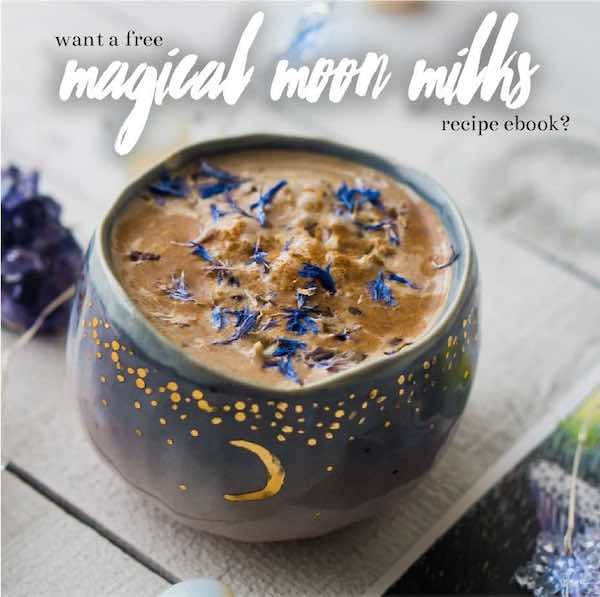 Add in the raw monk fruit powder or your sweetener of choice and mix on low until combined, then add tapioca powder, vanilla extract and sea salt and beat until creamy. 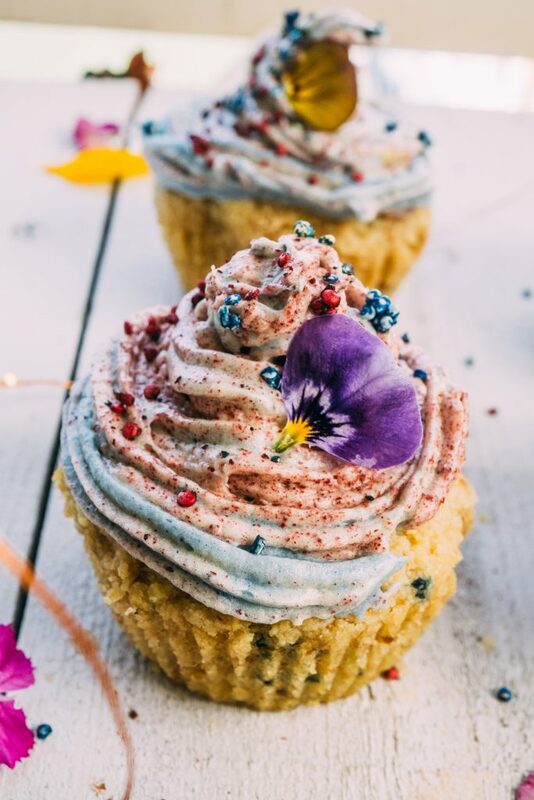 If you want to add in the colored powders, split the frosting into 3 sections, and mix in each of the colors until you have the desired color. Add in colors one at a time into the piping bag. Frost cupcakes right away, OR store frosting in the refrigerator until ready to use. Frosting will harden in the fridge, but you can let it sit for 5 minutes at room temp, then re-beat before frosting the cupcakes. Frosting can also be made ahead of time following this method. Frost cupcakes using a piping bag or with a spatula. Store cupcakes in the refrigerator after the first day for up to 4 days.